Military History Books, MASK: MI5's PENETRATION OF THE COMMUNIST PARTY OF GREAT BRITAIN,Nigel West,Routledge,ISBN 0415351456, THE ILLEGALS,Nigel West,Hodder & Stoughton,ISBN 034057247,Colonel Abel,the Krogers,Gordon Lonsdale (aka Konon Molody), TRIPLEX,Nigel West & Oleg Tsarev,Yale university Press,ISBN 9780300123470,'Cambridge Five' spy ring,Kim Philby,Donald Maclean,Guy Burgess,Anthony Blunt,John Cairncross, SECRET ASSIGNMENT: THE FBI's KGB GENERAL,Edward P. Gazur, General Alexander Orlov, THE CROWN JEWELS,Nigel West & Oleg Tsarev,Yale university Press,ISBN 0300078064,Kim Philby,Guy Burgess,Donald Maclean,Anthony Blunt,Cambridge ring,Goronwy Rees. An account of the British Security Service's dramatic interception of secret signals to Moscow from a hidden base in London uncovered the true extent of Soviet espionage in Britain. 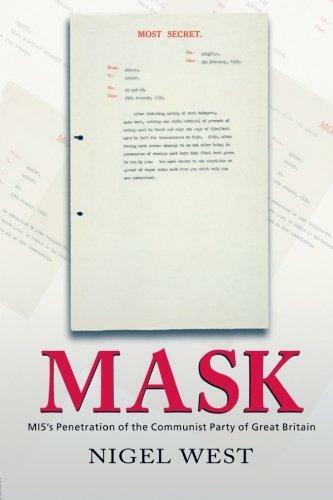 Intelligence expert Nigel West reveals how MASK, the codename for one of the most secretive sources ever run by British intelligence, enabled the British Government to monitor the activities of the Communist Party of Great Britain and track wireless traffic between the Soviet Union and its Comintern representatives abroad during the mid 1930's. The Government Code and Cipher School was one of the most secret branches of Whitehall, under the command of the Secret Intelligence Service, and used its covert intercept station in South London to make vital advances in the intelligence war. This gripping account exposes for the first time how the Communist Party of Great Britain was infiltrated and details the actual contents of its communications with the Soviet Union. This book reveals more clearly than ever before the precise nature and extent of the damage done to the much-vaunted British intelligence establishment during World War II by the notorious 'Cambridge Five' spy ring - Kim Philby, Donald Maclean, Guy Burgess, Anthony Blunt and John Cairncross. 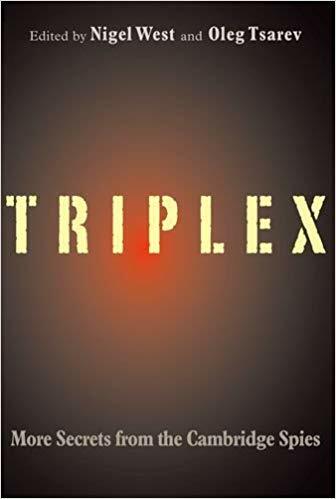 The code word 'Triplex' refers to an exceptionally sensitive intelligence source, one of the most closely guarded secrets of the war, which appears nowhere in any of the British government's official histories. 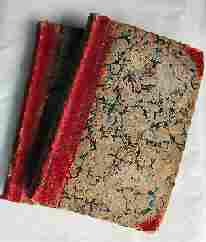 It was material extracted illicitly from the diplomatic pouches of neutral missions in wartime London. MI5, the British Security Service, entrusted the job of overseeing the highly secret assignment to Anthony Blunt, who was already working for the NKVD, Stalin's intelligence service. 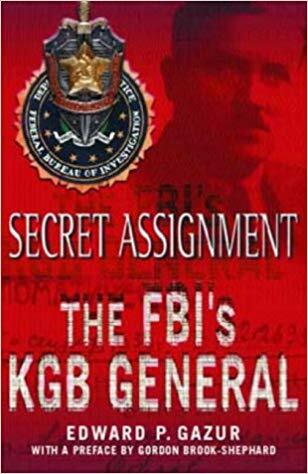 A career Special Agent of the FBI concentrating on East European counter-espionage investigations, Edward Gazur was selected for one of the most fascinating assignments of the Cold War: to befriend and debrief the highest ranking KGB defector of all time, General Alexander Orlov. Despite their difference in backgrounds, Orlov and Gazur became firm friends, and the old Bolshevik, who had been resettled in the USA entrusted many secrets to his FBI confidant. Gazur's remarkable experiences are so exceptional that he has been able to cast new light on many well-known cases and make some astonishing disclosures about Orlov. The story that emerges is an authentic insider's account of how the Cold War was waged against the KGB, and the strategy adopted by the FBI to extract more information from the one person whom Stalin feared. 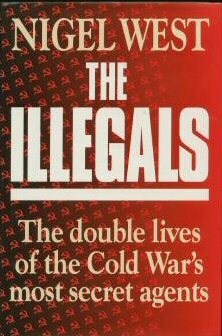 This lively account of Soviet foreign intelligence activity in Great Britain during the Cold War is based on documents newly released from the KGB archives, their "crown jewels," as the KGB unofficially called its most valuable assets. Written by Nigel West and former KGB lieutenant colonel, Oleg Tsarev, The Crown Jewels provides much new information on the activities of the well-known Soviet spies, including Kim Philby, Guy Burgess, Donald Maclean, and Anthony Blunt, as well as many lesser-known spymasters and recruiters, reproducing many of their reports for the first time. The book adds unsuspected dimensions to the famous Cambridge ring (including details of Burgess's offer to murder his fellow conspirator Goronwy Rees). 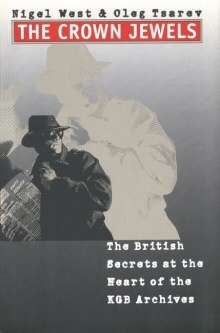 It also reveals a completely unknown Soviet network based in London and headed by a named Daily Herald journalist, describes the huge scale of Soviet penetration of the British Foreign Office from 1927 to 1951, explores a previously unknown spy ring in Oxford, and tells about the key role played by Blunt in supervising post-war Soviet espionage activities in London.